Eliminate Full Price: February Freebies + Eliminate Full Price Moment of the Week! February Freebies + Eliminate Full Price Moment of the Week! I have been receiving a lot of great freebies in the mail so far this month. 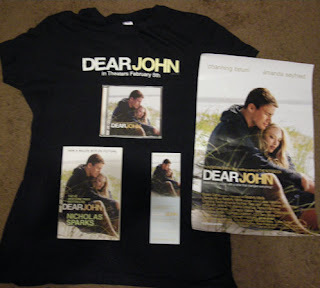 Thanks to 43kixNorCal (@43kixNorCal on Twitter) I won an awesome "Dear John" prize pack! I was amazed at all the "Dear John" goodies I received. I am a HUGE Channing Tatum fan so this was a very special prize for me to win. I love the t-shirt the most. I didn't even know "Dear John" t-shirts existed! "Dear John was da bomb I saw it with my mom. She thought it was hot. Channing Tatum was yum & Amanda Seyfried was fun!" I ended up winning a code for two Fandango movie tickets to see any movie I want. Kitson is a store located on the infamous Robertson Blvd. I went there once in 2006. It's a store where lots of celebrities do their shopping. When I found out Live! 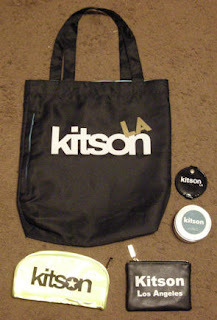 On Sunset (@liveonsunset on Twitter) was giving away Kitson grab bags I knew I had to enter to win. I was thrilled when I found out I won a grab bag. I received a bunch of cute Kitson branded merchandise. Out of all the items I received, I love the Kitson compact mirror the most. I've been needing one for the longest time so I'm glad to have received one for free. In August 2009, Allure magazine held a ton of beauty giveaways on their website. 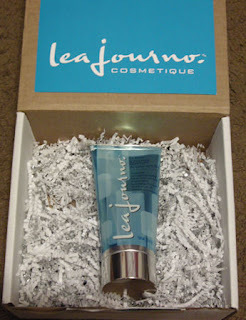 One of their giveaways was for a Lea Journo La Forme Styling Lotion that costs $28.00. In October 2009, Redken (@redken5thave on Twitter) was giving away 10,000 samples of their aerate 08 bodifying cream-mousse on their website. The sample I received was a 2.3 oz jar which is bigger than samples I receive from other companies. It's always nice when companies are generous with their samples. Sometimes I receive itty bitty samples good enough for one use only. 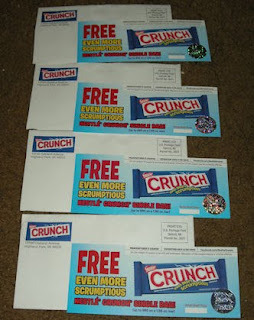 A few weeks ago on Facebook, Nestle Crunch was giving 1,000 Nestle Crunch Bar coupons to the first 1,000 people who finish their trivia game per day. I've already received 4 coupons. I'm expecting to receive 8 more coupons. My tummy can't wait to redeem these coupons. I received an e-mail from Southland Mall which is located in Hayward, Ca. The e-mail said if I print out the e-mail and bring it to Southland Mall I can receive a $10.00 American Express gift card with no purchase necessary. I took advantage of the offer and went to get a gift card. 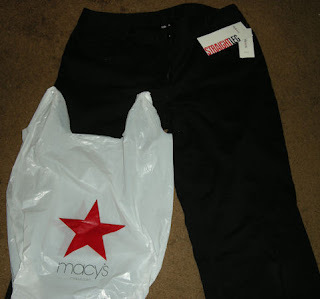 After getting the gift card, I decided to look around Macy's (@MacysInc on Twitter). I wasn't intending to buy anything but I saw a pair of pants on the clearance rack marked down to $12.49 from its original full price of $24.98. I tried on the pants and they fit nice. I decide to buy it but before I go to the cash register to pay, I scanned the price tag at the price checker. I was shocked when I saw the pants only cost $7.49! I couldn't believe so I went to another price checker and sure enough the price was $7.49. After taxes, I ended up only paying $8.22. If I used the gift card I got, I could have gotten the pants for free but I wanted to save the gift card for something else. I love how when I'm not looking for a deal, the deal finds me. Finding those pants at a cheap price was definitely my Eliminate Full Price moment of the week.